Unable to resist another invitation to see Allt-y-bela, I trogged down the M4 in the pouring rain. It's the wild flower meadows that help the garden merge with the surrounding landscape. Of course they're not really wild in the sense of always having been here; they haven't, they've been planted and sown in the last ten years, but you wouldn't know it just by looking. But even old wild flower meadows need to be managed - mown at the right time to allow seeds to fall and germinate, the flowers not allowed to lie in situ after mowing but be picked up so the soil fertility doesn't increase and additional species planted that may or may not be typical wild flower meadow plants. Like these Trollius. The meadows are in fact quite a bit of work, but definitely worth it I think. The roses were over by the time of my visit last year but this time they were just getting into their stride. I'd love to be able to tell you the names of them all but I found myself a bit distracted. As the garden is in a bit of a valley the scent is captured and remains in the air, even on a wet day. Often I have clients say they don't want any roses in their gardens. Memories of municipal monoculture or a faint whiff of the crematorium perhaps? But when planted amongst other shrubs or perennials they can really shine when in flower and disappear into the background when they've finished. And roses' ability to climb makes them doubly useful, especially if you are short of space or have a few old apple trees that might not be looking their best. Having a beautiful house does give you a bit of a head start in the gardening stakes. It does take a degree of bravery to turn an off-white ugly duckling into an uskan orange beauty (yes the typo is deliberate). 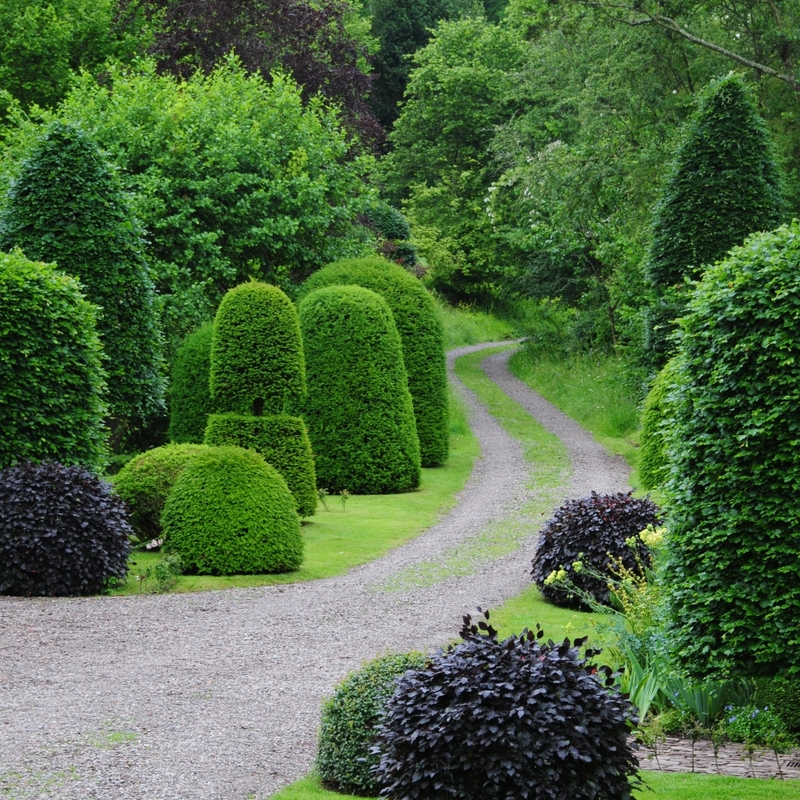 And when garden designers witter on about good bones and structure this is what they are refering to - good quality hard landscaping that has a beauty and a purpose and fantastic evergreen plants.